About 70% done and over 32K ploys so far! 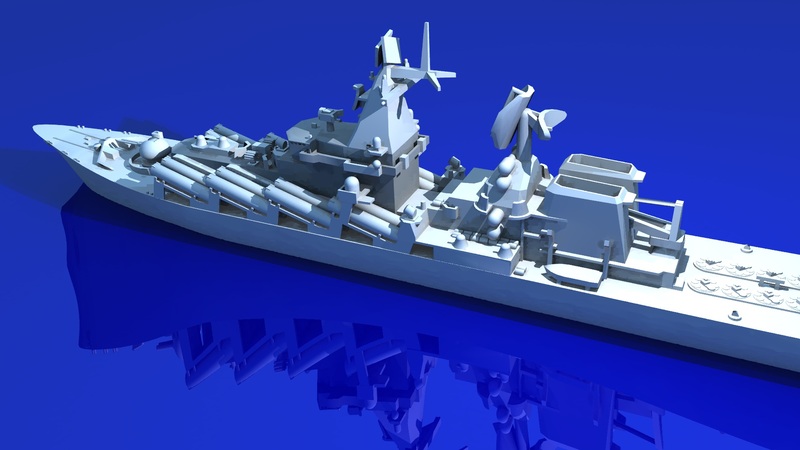 Nice work – sir… So what are you using all the ship models for – to sit on a shelf ??? Those tubes are not torpedos – they’re massive missile launchers for sinking US aircraft carriers! There’s a whole community of people out there who collect these things too. To get these things to &quot;print&quot; all objects in the model must be manifold – does anyone remember the shadow models required for Rail Sim? No deleting hidden polys here. Finally finished it – 57,000 polys!